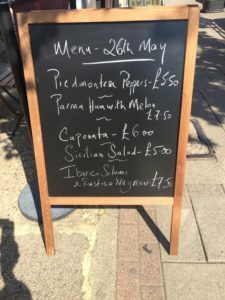 Ritherdon road street fair, Thursday wines tastings and New wines arrivals over the next few weeks including 4 lovely summer rose’s and a handful of fresh, elegant whites….. 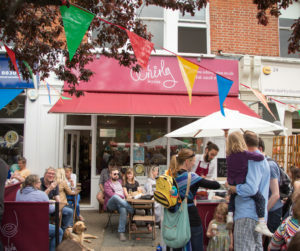 The Ritherdon road street fair proved a great success for all the shop holders on Sunday 22nd May. It was fabulous to see it so well attended; apparently about 4,000 people turned up to see the street in its prime with the bunting flowing from shop to stall to shop, what a colourful and exciting sight it was. 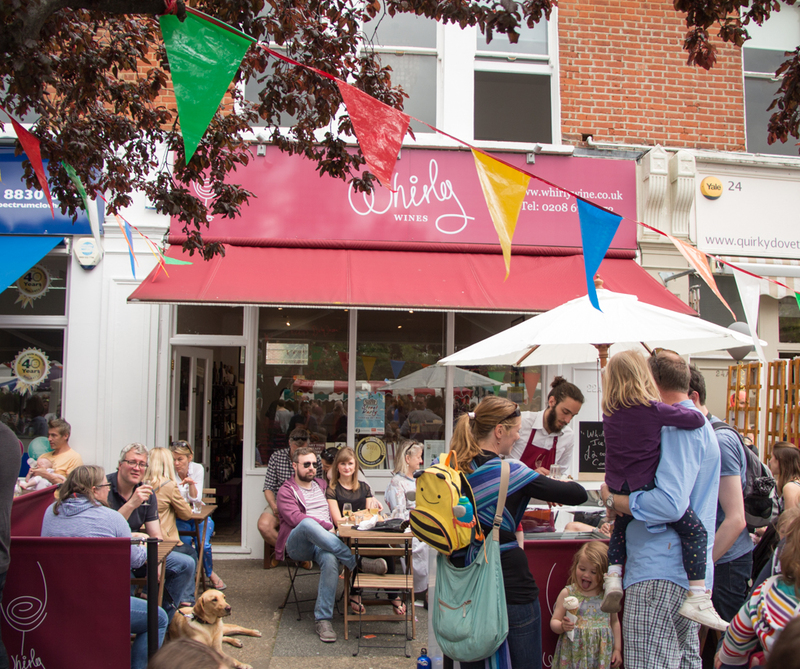 Above is a shot of the Whirly wine shop with the new Aperitif bar ( serving 14 wines by the glass chosen from Mr Whirly’s carefully sourced list of 140 wines that he imports) and the even newer Ice cream stand in full flow! ( serving top quality Gelato and Sorbetto: salted caramel, Lemon, Vanilla, Raspberry, Mango and Chocolate at the moment). Do pop down soon, the little ones can have an ice cream whilst the adults have a little glass of rose in the sun! ( more photos will be added soon). Talking of rose, some new wines arrive soon including a lovely rose from Chateau D’Azur in Bandol, to me the epitomy of Provence rose ( google Domaine Tempier and you will gist of what I am hinting at here) and also slightly further north in Provence the beautifully rounded and soft ” Harmonie 2014″ from Chateau de Majouliere near Villecroze which is one of the most beautifully rounded and soft Provence reds I have ever tasted ( Grenache and Syrah) and a vineyard I discovered on my travels in the south of France over 10 weeks in the summer of 2011. Also new in soon are some really lovely summer wines from “Domaine Tariquet” in the Gascogne that will be wines that hit that vital £8-10 mark in the shop. A lovely summer strawberry rose, a Vermentino and Colambard white which is a delightfully easy drinking wine for the Aperitif bar this summer; also some lovely un-oaked Chardonnay and a Reserve white that has been oaked a little. Top value wines and wonderful quality at the same time which fits in what I am trying to achieve at Whirly wines. Also in are two more rose’s from Molhiere in Cote de Duras ( to go with the existing wines here in the shop, their very dependable Sauvignon Blanc and Merlot-Cab Franc red. Chateau Pierrail in Cote de Bordeaux will also soon be showcasing their new 2015 rose as well as their unique and popular Sauvignon Blanc and Gris 2015 and some easy drinking, soft tannin Bordeaux reds, new wines for the list here in the shop. Lastly, from Macon ( yes some Burgundy for the shop shelves!) and the very talented winemaker Alain Normand in La Roche Vineuse, I have four new wines: his La Roche Vineuse red and white which are wines he has built his reputation on and are very much his pride and joy ( Chilled Gamay for the summer and some clean fresh Chardonnay, un-oaked) as well as some Pouilly Fuisse 2014 and some ” Roc de Solutre” Pouilly Fuisse 2012 ( did you know Pouilly and Fuisse are two separate villages?) So very soon these wines will start to feature on the Aperitif bar list as well as on the shelves, I am hoping my mid June so I look forward to welcoming you and whirling with you soon! One other thing, I would like to start the Thursday tastings again, beginning with a tasting on the 9th June and then bi-weekly after that. I shall very soon post details on this first tasting so please keep an eye out for it in the coming days. The cost will be only £15 per person to taste 4 wines and I will need a minimum of ten people to make it work. As soon as the new wines are in I shall look to post them on social media sites as well as on this website. Looking forward to seeing you at the shop for an ice cream and glass of wine very soon.